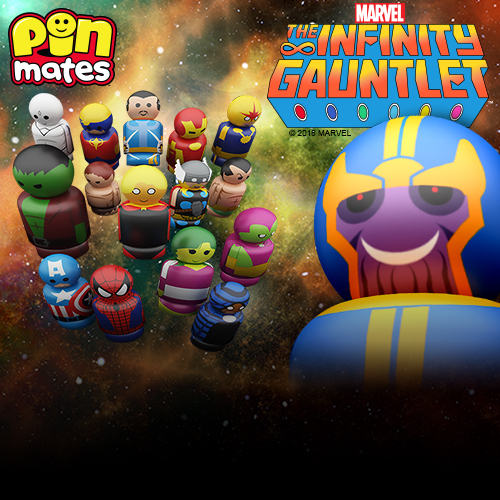 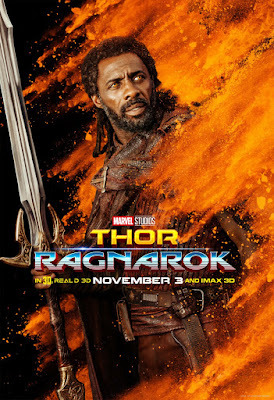 After months and months of hype, Marvel’s Thor: Ragnarok is finally hitting theaters this week and The Blot can’t wait!!! 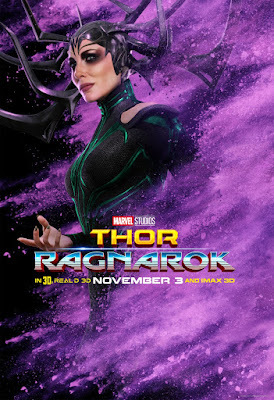 From all the trailers I’ve seen and the reviews I’ve read, Ragnarok sounds like it’s going to be a huge hit. Over the next week we’ll be featuring some of my favorite one sheet movie posters for the film. 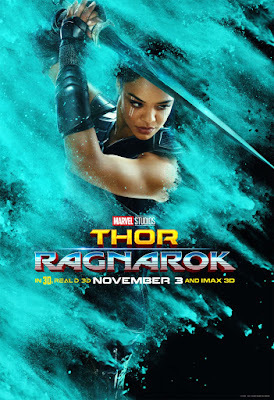 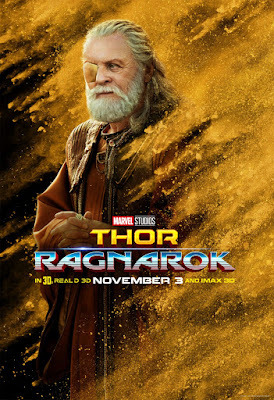 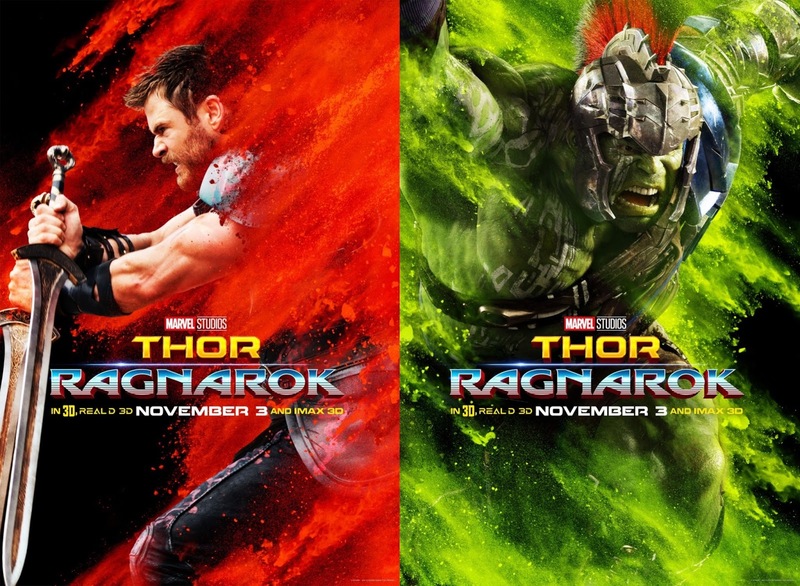 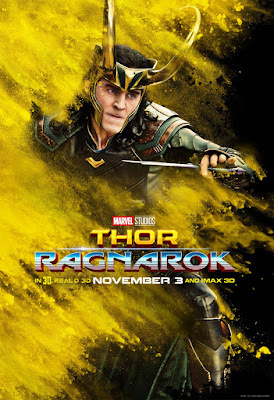 Now I have no idea what’s going on with all the crazy splashes of color in these Thor: Ragnarok character movie posters, but the effects definitely make the posters pop! That’s one way to get noticed in the movie theater right? Thor: Ragnarok will attach theaters in the US on November 3, 2017, and stars Chris Hemsworth as Thor, Tom Hiddleston as Loki, Cate Blanchett as Hela, Idris Elba as Heimdall, Jeff Goldblum as Grandmaster, Tessa Thompson as Valkyrie, Karl Urban as Skurge and Mark Ruffalo as the Hulk.